Joe Messina is a member of the class of 2019 at HBHS and is a first year journalist. At HB, he enjoys playing in guitar nights and partaking in clubs he belongs to. However he is most well known for playing baseball in the HB community. In the summer, he plays baseball almost every day and travels to places like Florida, Arizona, California, the Carolinas and more for tournaments, showcases and college recruitment visits. During the school year, Joe looks to get another job after leaving Shaw’s last June, trains for baseball every day, goes to school events and hangs with his friends. He lives with his sister, who is a freshman, and his mother. 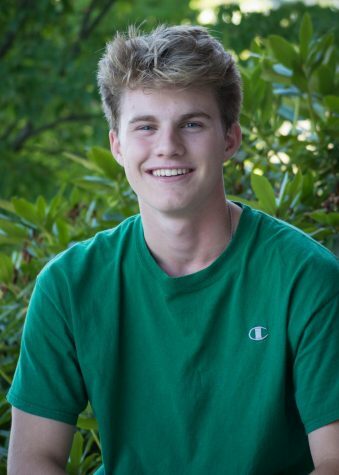 He is very excited about his first year as a writer, and looks to bring more one-on-one profiling of student-athletes at the school with spotlights and interviews about achievements on and off the field. In the future, Messina plans to play baseball in college, major in sports-medicine, and minor in journalism.